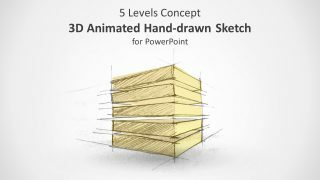 The Animated Tin Can Telephone PowerPoint Template presents 3 slides of freestyle hand drawing shapes for communication concepts. 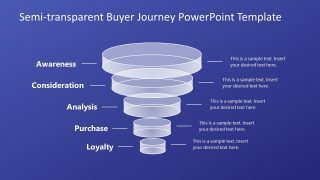 This template features multiple terms like telecommunication, data transfers, human connection, etc. Therefore, it will fit perfectly to similar presentation topics on reporting or broadcasting. For example, discussing technology evolution by using toy telephone to explain basic sound transmitting theories. The tin can telephone graphics are also a great way to metaphorically demonstrate exchange of information. Such as technical difficulties or effective verbal and listening skills. 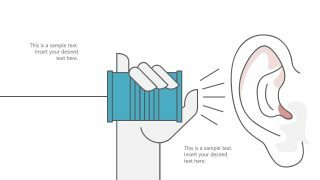 Here, the last slide of tin can telephone PowerPoint specifically demonstrate listening stages. These stages display brain activity in different colors. 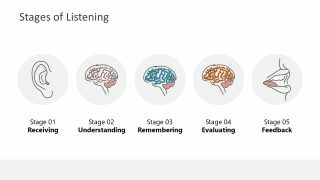 The 5 Stages include ear for receiving, then understanding, remembering, evaluating as brain activity, and lastly, mouth of giving feedback. The two slides of PowerPoint illustrate both ends of tin can telephone. The left image shows speaking while second slide displays listening activities. 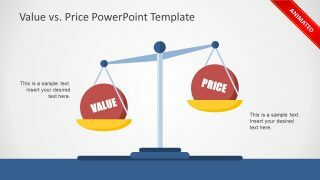 The users can switch speaking and listening activities from left to right since it is an editable PowerPoint template. 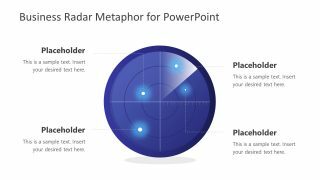 Simply select all editable PowerPoint objects from one slide and use rotate dropdown menu to flip elements vertically or horizontally. 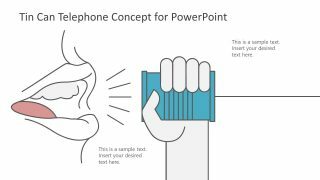 The Animated Tin Can Telephone PowerPoint Template provides visually appealing fade and line effects. These animations are available for illustrative listening and speaking slides. The arrows on tin cans show the direction of sound. Whereas lines before mouth and ear create a blinking effect for sound or data transmission. 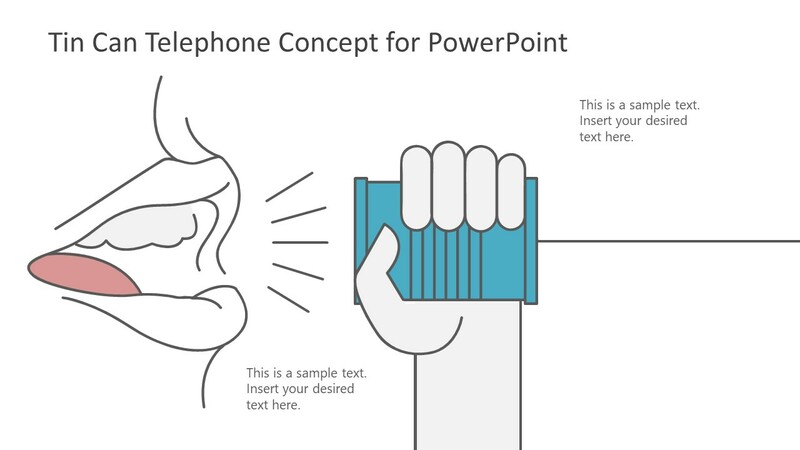 The telephone PowerPoint graphics are metaphors for telecommunication invention and innovation. But this presentation is also a useful tool for academic professional. Especially for science and art activities to design tin can telephone.